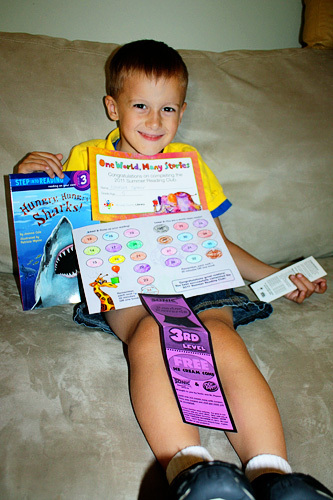 Nathan finished the Library Reading Program, and he won a Free Sonic Icecream Cone, a free book about Sharks and a Libary Nights Magic House pass. Way to go, Nathan! I am SO glad the kids will be in the same reading program level next year, so they will get the same prizes.